(formerly Overseas National Airways 2nd) (OV/NAN) (New York-JFK) 1983 - 1986. Photos. Framable Color Prints and Posters. Digital Sharp Images. Aviation Gifts. Slide Shows. 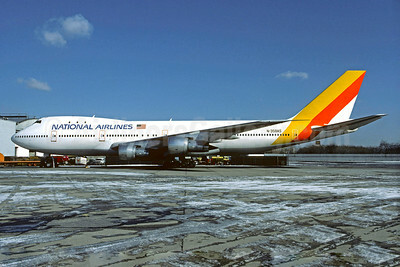 National Airlines (2nd) Boeing 747-243B N358AS (msn 19732) JFK (Christian Volpati Collection). Image: 930346. 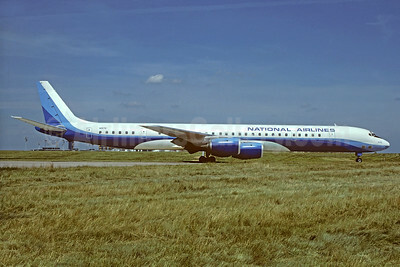 National Airlines (2nd) McDonnell Douglas DC-8-71 N917R (msn 46099) (Overseas National Airlines 2nd colors) ORY (Jacques Guillem). Image: 930347.